Storm Chris: When will the ex-hurricane hit the UK? 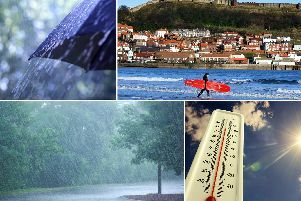 What will the weather be like in Yorkshire this week? We’ve heard a lot about Storm Chris and whether it is set to bring an end to the summer’s glorious heatwave. It looks as though Yorkshire won’t be too affected by Storm Chris - which is currently tracking its way across the Mid-Atlantic from the USA. The former hurricane will probably bring slightly cooler temperatures to the UK. There is still a degree of uncertainty about which path Storm Chris is likely to take and with more showery weather in some places - it looks the dry spell we’ve been enjoying could come to an end sooner rather than later. As Monday goes on showery spells, which will sometimes be thundery, make their way over in an eastward direction over the UK and a few could hit Leeds later in the day. However, it will remain hot, with temperatures of 22C expected throughout the day. We could see more showers on Tuesday as it looks set to be fresher than of late, but it will remain warm in the sunshine. Highs of 20C are to be expected, a little cooler than we’ve been used to over recent weeks. Another cloudy day with the chance of both sunshine and showers . The predicted highs to rise though to a considerable 23C. 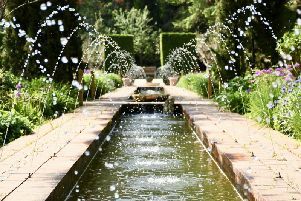 There are fewer showers forecast for the whole of the UL on Thursday - meaning Yorkshire has a good chance of staying dry and with highs of 23C again predicted, it’s set to be possibly the nicest day of the week. Southern England has a higher risk of seeing thundery showers on Friday, with scattered showers expected for hte majority of others. Highs of 22C are expected to take us into the weekend.